You can always view and manage your Amazon GuardDuty findings on the Findings page in the GuardDuty console or by using GuardDuty APIs with the AWS CLI or SDK. But there’s a quicker and easier way, you can use Amazon Alexa as a conversational interface to review your GuardDuty findings. With Alexa, you can build natural voice experiences and create a more intuitive way of interacting GuardDuty. 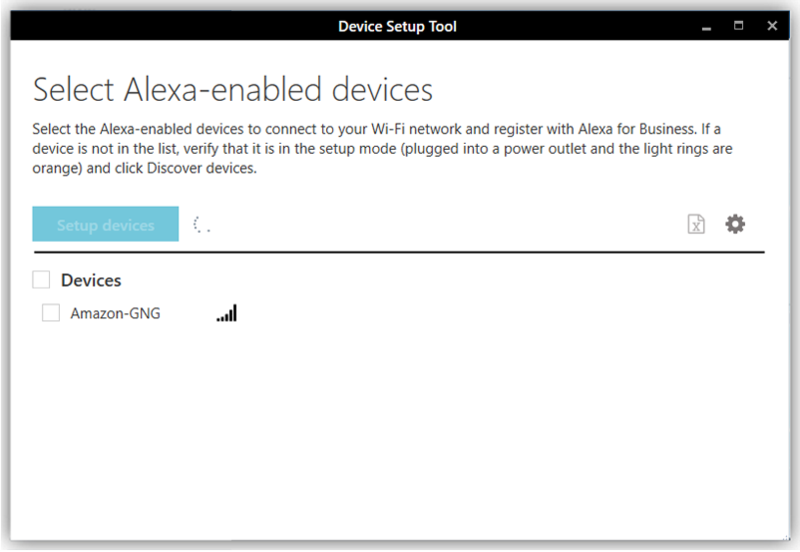 In this post, I show you how to deploy a sample custom Alexa skill and use an Alexa-enabled device, such as Amazon Echo, to get information about GuardDuty findings across your AWS accounts and regions. The information provided by this sample skill gives you a broad overview of GuardDuty finding statistics, severities, and descriptions. When you hear something interesting, you can log in to the GuardDuty console or another analysis tool to investigate the findings data. 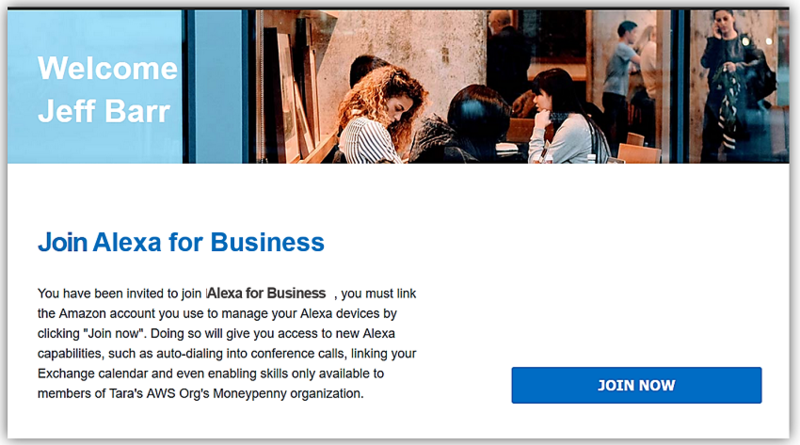 Note: Although not covered here, you can also deploy this sample skill using Alexa for Business, which you can use to make skills available to your shared devices and enrolled users without having to publish them to the Alexa skills store. A basic understanding of Alexa Custom Skills, which is helpful for deploying the sample skill described here. If you’re not already familiar with Alexa custom skill concepts and terminology, you might want to review the following documentation resources. An AWS account with GuardDuty enabled in one or more AWS regions. 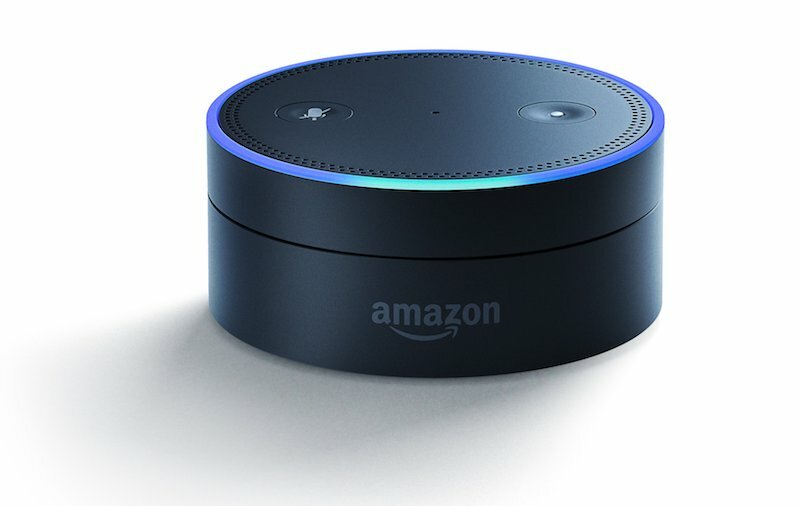 An Alexa-enabled device, such as Amazon Echo. This diagram shows how the CloudFormation template creates the Lambda function for the sample Alexa skill. The Alexa service passes the intent to the custom skill that uses the Lambda function to call the GuardDuty API and request the information. The GuardDuty service returns the requested information and the Lambda function returns the response to the Alexa service. The Alexa service delivers the audio response via the Alexa-enabled device. 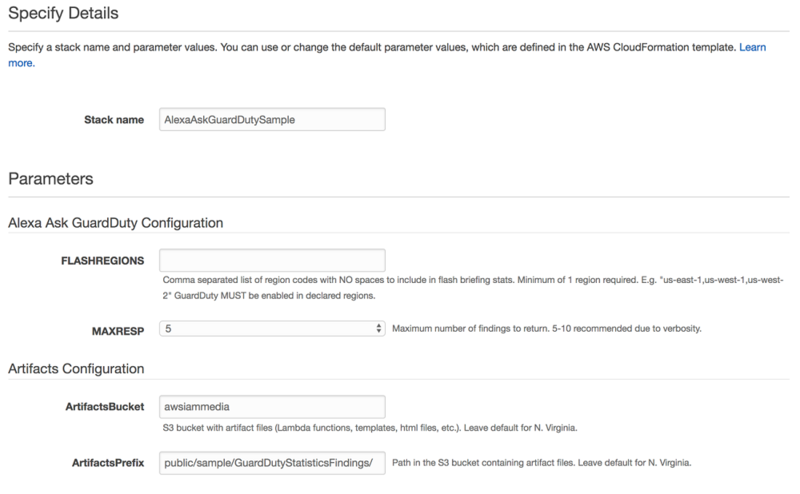 Deploy the Lambda function by using the CloudFormation Template. Create the custom skill in the Alexa developer console. Test the skill using an Alexa-enabled device. For this next step, make sure you deploy the template within the AWS account you want to monitor. To deploy the Lambda function in the N. Virginia region (see the note below), you can use the CloudFormation template provided by clicking the following link: load the supplied template. 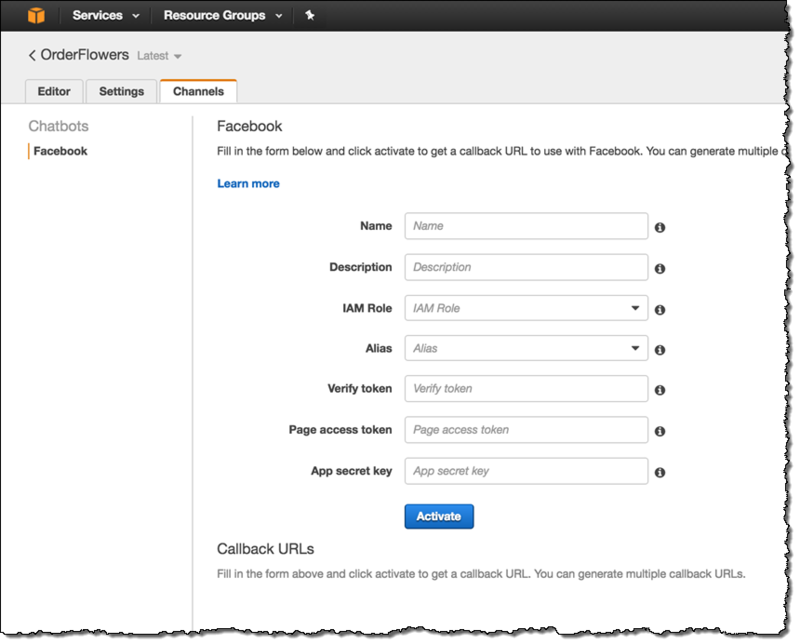 In the CloudFormation console, on the Select Template page, select Next. Note: The following AWS regions support hosting custom Alexa skills: US East (N. Virginia), Asia Pacific (Tokyo), EU (Ireland), West (Oregon). If you want to deploy in a region other than N. Virginia, you will first need to upload the custom skill’s Lambda deployment package (zip file with code) to an S3 bucket in the selected region. FLASHREGIONS Comma separated list of region Ids with NO spaces to include in flash briefing stats. At least one region is required. Make sure GuardDuty is enabled in regions declared. MAXRESP Max number of findings to return in a response. ArtifactsBucket S3 Bucket where Lambda deployment package resides. Leave the default for N. Virginia. ArtifactsPrefix Path in S3 bucket where Lambda deployment package resides. Leave the default for N. Virginia. On the Specify Details page, enter the input parameters (see above), and then select Next. On the Options page, accept the default values, and then select Next. On the Review page, confirm the details, and then select Create. The stack will be created in approximately 2 minutes. In the second part of this solution implementation, you will create the skill in the Amazon Developer Console. Sign in to the Alexa area of the Amazon Developer Console, select Your Alexa Consoles in the top right, and then select Skills. For the name, enter Ask Amazon GuardDuty, and then select Next. In the Choose a model to add to your skill page, select Custom, and then select Create skill. 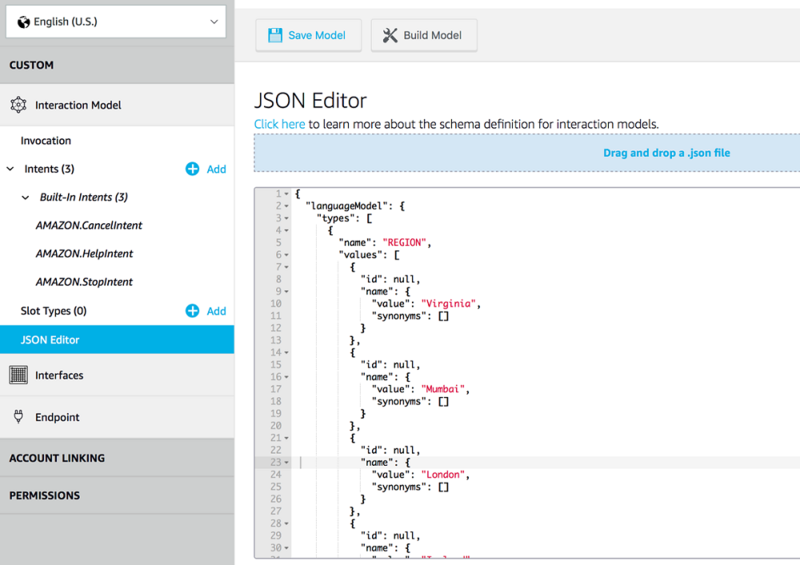 Select the JSON Editor and paste the contents of the alexa_ask_guardduty_skill.json file into the code editor, and overwrite the existing content. This file contains the intent schema which defines the set of intents the service can accept and process. Select Save Model, select Build Model, and then wait for the build to complete. When the model build is complete, on the left side, select Endpoint. 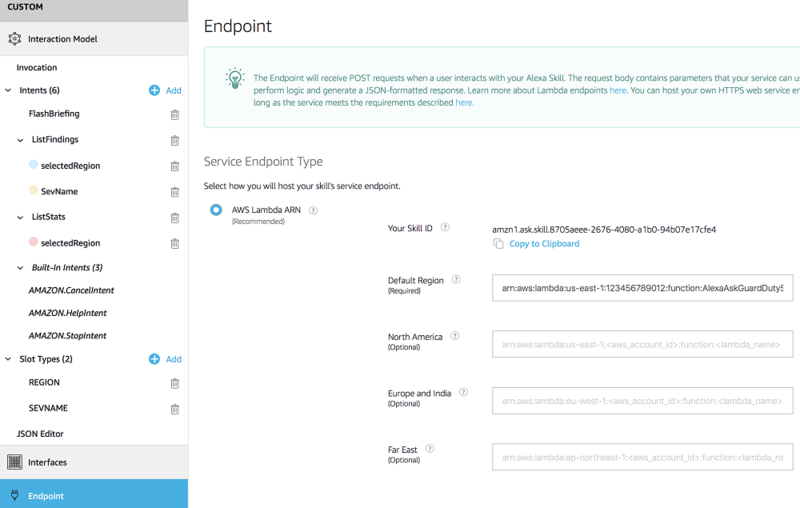 In the Endpoint page, in the Service Endpoint Type section, select AWS Lambda ARN (Amazon Resource Name). In the Default Region field, copy and paste the value from the CloudFormation Stack Outputs key named AlexaAskGDSkillArn. Leave the default values for other options, and then select Save Endpoints. Because you’re not publishing this skill, you don’t need to complete the Launch section of the configuration. The skill will remain in the “Development” status and will only be available for Alexa devices linked to the Amazon developer account used to create the skill. Anyone with physical access to the linked Alexa-enabled device can use the custom skill. As a best practice, I recommend that you delete the Lambda trigger created by the CloudFormation template and add a new one with Skill ID verification enabled. Now that you’ve deployed the sample solution, the next step is to test the skill. Make sure you’re using an Alexa-enabled device linked to the Amazon developer account used to create the skill. Before testing, if there are no current GuardDuty findings available, you can generate sample findings in the console. When you generate sample findings, GuardDuty populates your current findings list with one sample finding for each supported finding type. “Alexa, Open GuardDuty” — Opens the skill and provides a welcome response. You can also use “Alexa, Ask GuardDuty”. “Get flash briefing” — Provides global and regional counts for low, medium, and high severity findings. The regions declared in the FLASHREGIONS parameter are included. You can also use “Ask GuardDuty to get flash briefing” to bypass the welcome message. You can learn more about GuardDuty severity levels in the documentation. “Get statistics for region” — Provides regional counts for low, medium, and high severity findings. “Get findings for region” — Returns finding information for the requested region. The number of findings returned is configured in the MAXRESP parameter. “Get <high/medium/low> severity findings for region” – Returns finding information with the minimum severity requested as high, medium, or low. The number of findings returned is configured in the MAXRESP parameter. “Help” — Provides information about the skill and supported utterances. Also provides current configuration for FLASHREGIONS and MAXRESP. In addition to the voice response, this skill shows the response text within Home Cards in the Alexa mobile application. You can use this sample solution to get GuardDuty statistics and findings through the Alexa conversational interface. You’ll be able to identify findings that require further investigation quickly. This solution’s code is available on GitHub. If you have comments about this blog post, submit them in the Comments section below. If you have questions about using GuardDuty, start a thread in the GuardDuty forum or contact AWS Support. If you questions about Alexa, submit them in the Alexa Developer Forum or the Alexa for Business Forum. Here at Backblaze we have a lot of folks who are all about technology. With the holiday season fast approaching, you might have all of your gift buying already finished — but if not, we put together a list of things that the employees here at Backblaze are pretty excited about giving (and/or receiving) this year. The holidays are all about eating pie — well why not get a pie of a different type for the DIY fan in your life! An inexpensive way to keep a close eye on all your favorite people…and intruders! Have trouble falling asleep? Try this portable white noise machine. Also great for the office! Need a cheap way to keep track of your schedule or play music? The Echo Dot is a great entry into the smart home of your dreams! These little fellows make it easy to Wifi-ify your entire home, even if it’s larger than the average shoe box here in Silicon Valley. 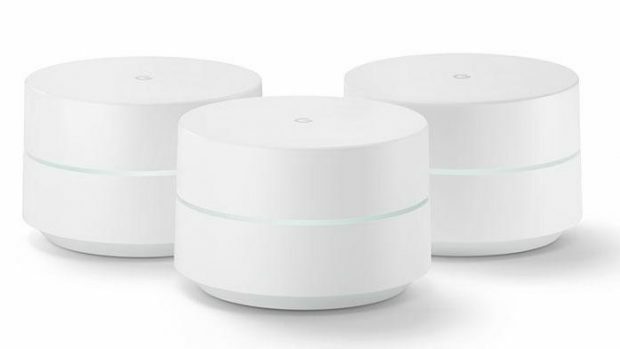 Google Wifi acts as a mesh router and seamlessly covers your whole dwelling. Have a mansion? Buy more! Like the Amazon Echo Dot, this is the Google variant. 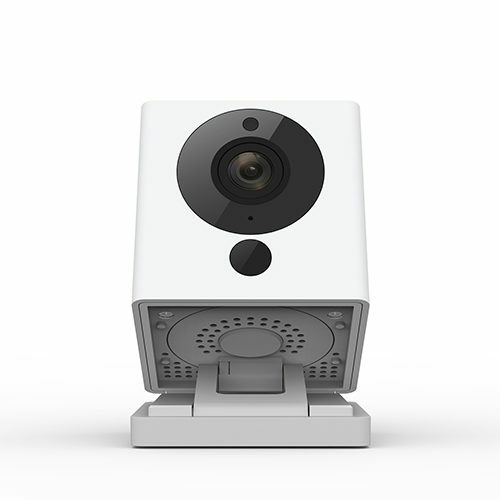 It’s more expensive (similar to the Amazon Echo) but has better sound quality and is tied into the Google ecosystem. This is a smart thermostat. 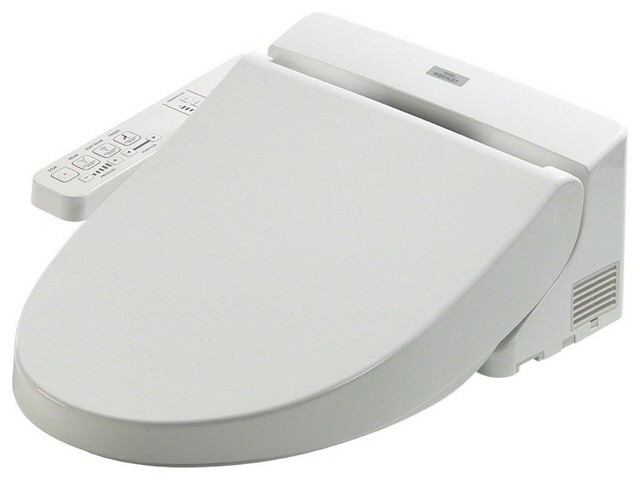 What better way to score points with the in-laws than installing one of these bad boys in their home — and then making it freezing cold randomly in the middle of winter from the comfort of your couch! 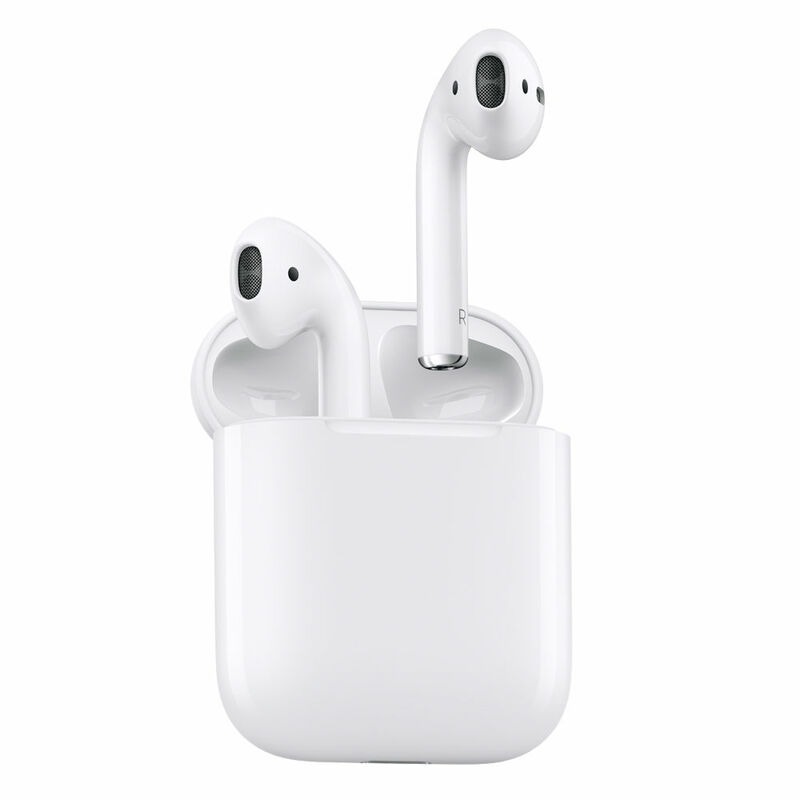 You’ve seen these all over the place, and the truth is they do a pretty good job of making sounds appear in your ears. 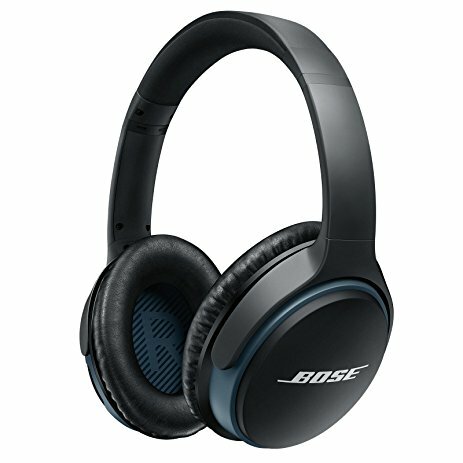 If you like over-the-ear headphones, these noise canceling ones work great, are wireless and lovely. There’s no better way to ignore people this holiday season! 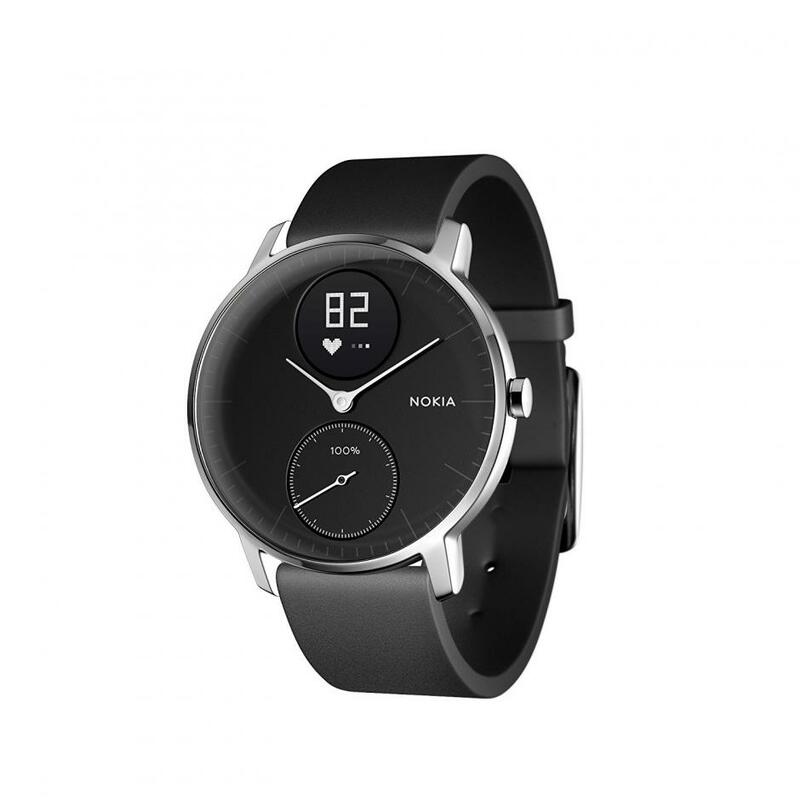 This watch is all about fitness. If you enjoy fitness. 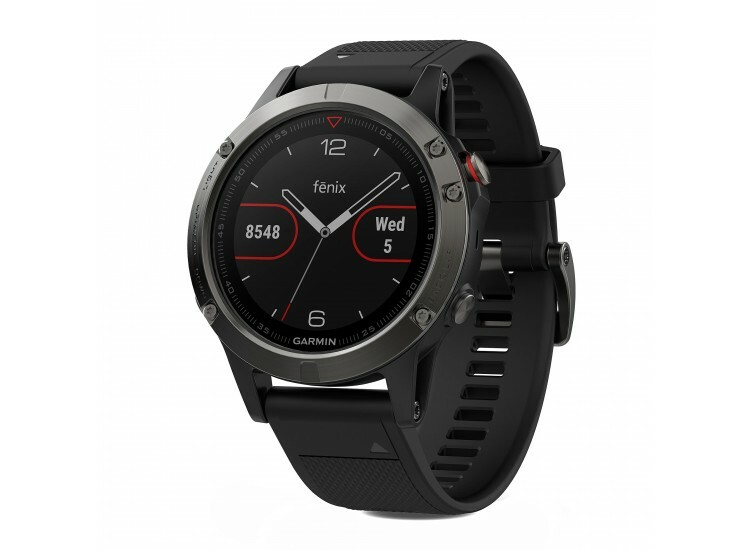 This watch is the fitness watch for your fitness needs. 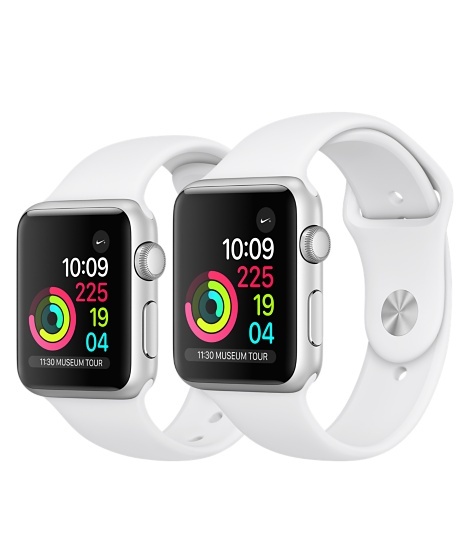 The Apple Watch is a wonderful gadget that will light up any movie theater this holiday season. If you’re into mixing analogue and digital, this is a pretty neat little gadget. 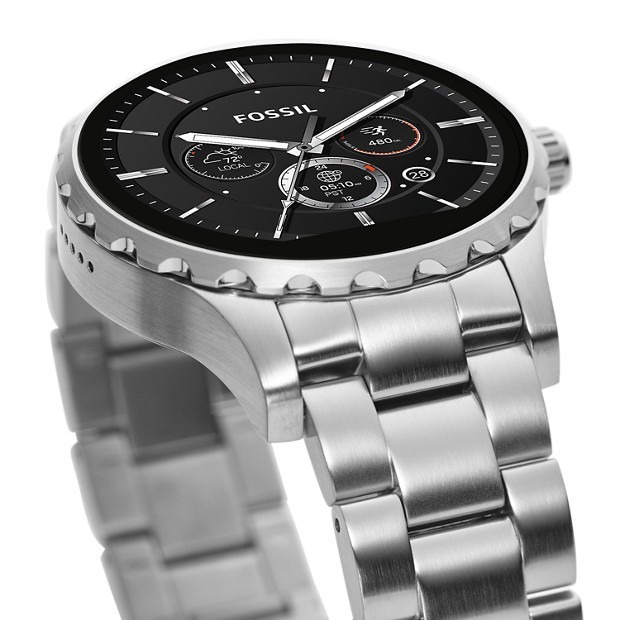 This stylish watch is a pretty neat way to dip your toe into smartwatches and activity trackers. Some people call this the greatest smartwatch of all time. Those people might be named Yev. 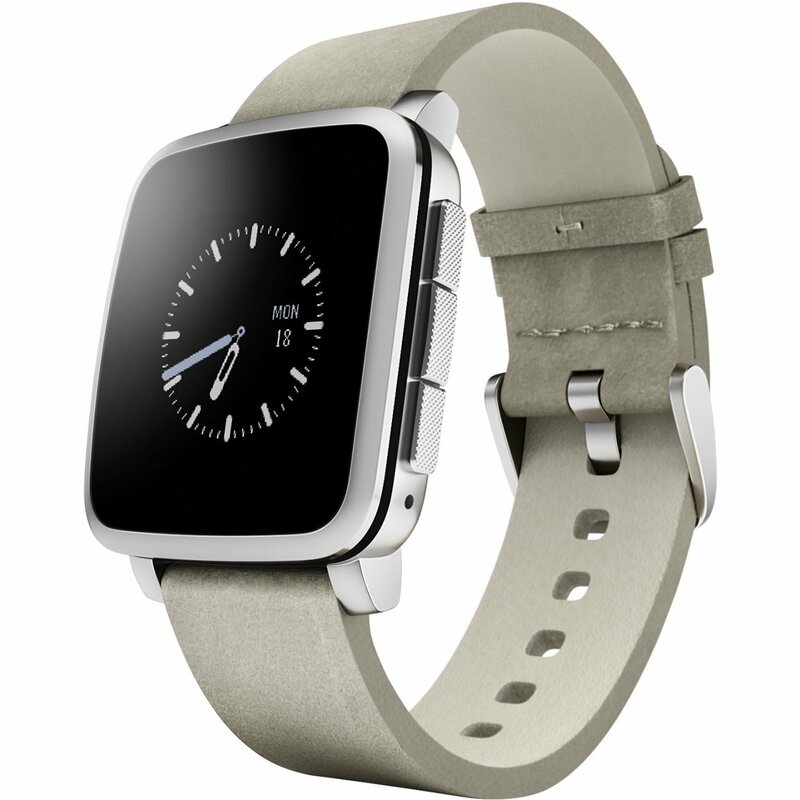 This watch is great at sending you notifications from your phone, and not needing to be charged every day. Bellissimo! 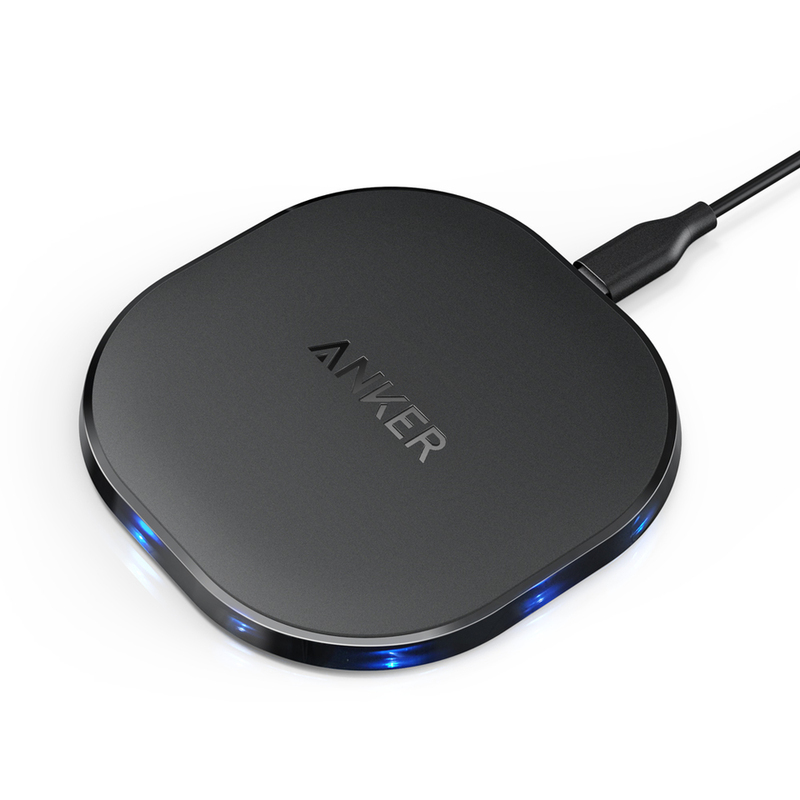 Wireless chargers are pretty great in that you don’t have to deal with dongles. There are even kits to make your electronics “wirelessly chargeable” which is pretty great! Love coffee? Hate lukewarm coffee? What if your coffee cup heated itself? Brilliant! Yeast. It makes beer. And bread! Sometimes you need to stir it. 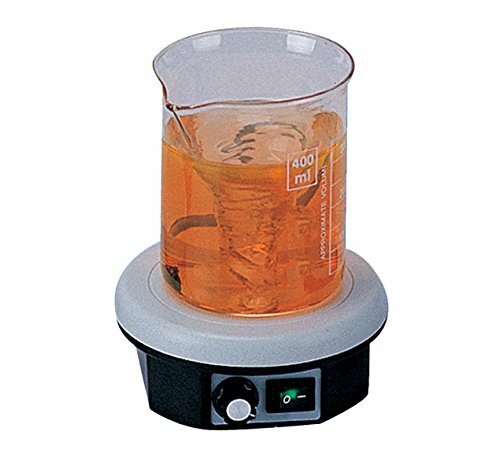 What cooler way to stir your yeast than with this industrial stirrer? This one is self explanatory. You know the old rhyme: happy butts, everyone’s happy! Good luck out there this holiday season! The post 2017 Holiday Gift Guide — Backblaze Style appeared first on Backblaze Blog | Cloud Storage & Cloud Backup. only relatively recently made its way into fairly common mainstream use. cloud”, which generally leaves the free-software world out in the cold. data set should help further the goal of FOSS voice interfaces. As more and more digital home assistants are appearing on the consumer market, it’s not uncommon to see the towering Amazon Echo or sleek Google Home when visiting friends or family. But we, the maker community, are rarely happy unless our tech stands out from the rest. 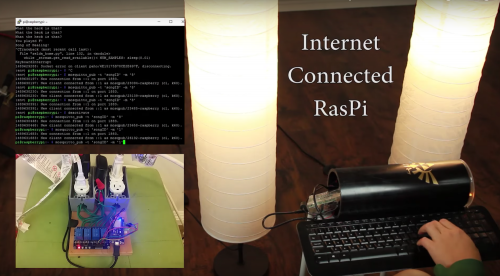 So without further ado, here’s a roundup of some fantastic retrofitted home assistant projects you can recreate and give pride of place in your kitchen, on your bookshelf, or wherever else you’d like to talk to your virtual, disembodied PA. Turned an 80s Tomy Mr Money into a little Google AIY / Raspberry Pi based assistant. 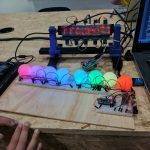 Please watch: “DIY Fidget LED Display – Part 1” https://www.youtube.com/watch?v=FAZIc82Duzk -~-~~-~~~-~~-~- There are tons of virtual assistants out on the market: Siri, Ok Google, Alexa, etc. I had this crazy idea…what if I made the virtual assistant real…kinda. 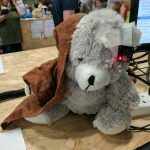 I decided to take an old animatronic teddy bear and hack it so that it ran Amazon Alexa. Speaking of freaky: check out Zack’s Furlexa — an Amazon Alexa Furby that will haunt your nightmares. Devices that were the height of technology when you purchased them may now be languishing in your attic collecting dust. 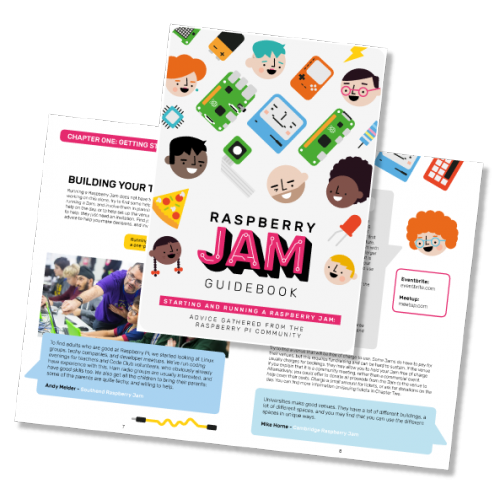 With new and improved versions of gadgets and gizmos being released almost constantly, it is likely that your household harbours a spare whosit or whatsit which you can dismantle and give a new Raspberry Pi heart and purpose. This is a 1986 Radio Shack Intercom that I’ve converted into a Google Home style device using a Raspberry Pi and the Google AIY (Artificial Intelligence Yourself) kit that came free with the MagPi magazine (issue 57). 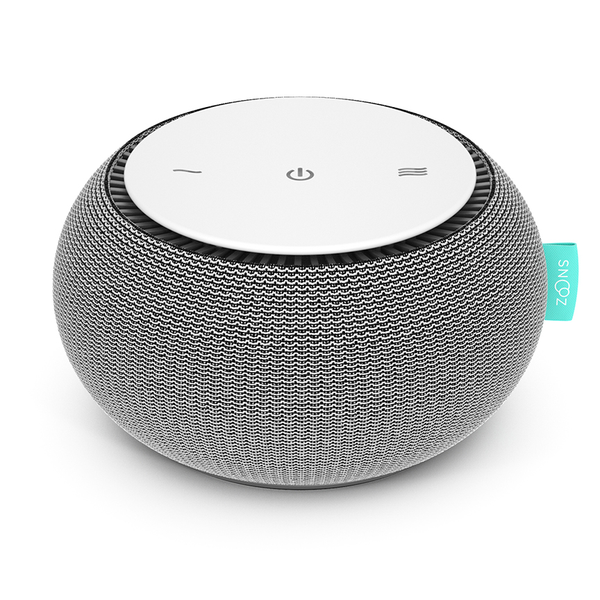 It uses the Google Assistant to answer questions and perform actions, using IFTTT to integrate with smart home accessories and other web services. Not only does this build look fantastic, it’s also a great conversation starter for any visitors who had a similar device during the eighties. Also take a look at Martin’s 1970s Amazon Alexa phone for more nostalgic splendour. A GIF. A harmless, little GIF…and proof of the comms team’s obsession with The Emperor’s New Groove. You don’t have to be fancy when it comes to housing your home assistant. And often, especially if you’re working with the smaller people in your household, the results of a simple homespun approach are just as delightful. 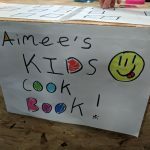 Raspberry Pi 3 Amazon Echo – The Alexa Kids Build! My 7 year old daughter and I decided to play around with the Raspberry Pi and build ourselves an Amazon Echo (Alexa). The video tells you about what we did and the links below will take you to all the sites we used to get this up and running. Also see the Google AIY Projects Voice kit — the cardboard box-est of home assistant boxes. And now it’s your turn! I challenge you all (and also myself) to create a home assistant using the Raspberry Pi. 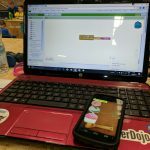 Whether you decide to fit Amazon Alexa inside an old shoebox or Google Home inside your sister’s Barbie, I’d love to see what you create using the free home assistant software available online. 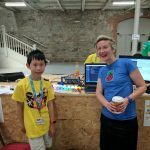 Check out these other home assistants for Raspberry Pi, and keep an eye on our blog to see what I manage to create as part of the challenge. Ten virtual house points for everyone who shares their build with us online, either in the comments below or by tagging us on your social media account. 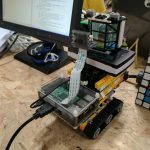 The post Marvellous retrofitted home assistants appeared first on Raspberry Pi. tl;dr: Wow. Everyone needs to be afraid. (Well, worried — not panicked.) It means in practice, attackers can decrypt a lot of wifi traffic, with varying levels of difficulty depending on your precise network setup. My post last July about the DEF CON network being safe was in error. When a client connects to the network, the access-point will at some point send a random “key” data to use for encryption. Because this packet may be lost in transmission, it can be repeated many times. What the hacker does is just repeatedly sends this packet, potentially hours later. Each time it does so, it resets the “keystream” back to the starting conditions. The obvious patch that device vendors will make is to only accept the first such packet it receives, ignore all the duplicates. At this point, the protocol bug becomes a crypto bug. We know how to break crypto when we have two keystreams from the same starting position. It’s not always reliable, but reliable enough that people need to be afraid. This is an active attack, not a passive attack, so in theory, it’s detectable. The hacker only needs to be within range of your WiFi. 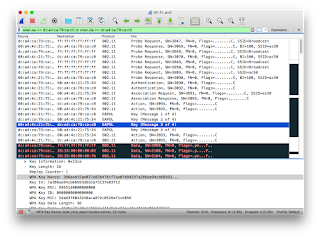 Your neighbor’s teenage kid is going to be downloading and running the tool in order to eavesdrop on your packets. It can’t defeat SSL/TLS or VPNs. Thus, if you feel your laptop is safe surfing the public WiFi at airports, then your laptop is still safe from this attack. With Android, it does allow running tools like sslstrip, which can fool many users. High-end access-points that contains “WIPS” (WiFi Intrusion Prevention Systems) features should be able to detect this and block vulnerable clients from connecting to the network (once the vendor upgrades the systems, of course). Even low-end access-points, like the $30 ones you get for home, can easily be updated to prevent packet sequence numbers from going back to the start (i.e. from the keystream resetting back to the start). At some point, you’ll need to run the attack against yourself, to make sure all your devices are secure. Since you’ll be constantly allowing random phones to connect to your network, you’ll need to check their vulnerability status before connecting them. You’ll need to continue doing this for several years. Most security vendors will add things to their products/services to defend you. While valuable in some cases, it’s not a defense. The defense is patching the devices you know about, and preventing vulnerable devices from attaching to your network. However, for an attacker near an Android device using a low-powered WiFi, it’s likely they will be able to conduct man-in-the-middle without any WIPS preventing them. The way to implement this attack is by intercepting the Echo before it arrives at the target location. But if you can do that, there are a lot of other things you can do. So while this is a vulnerability that needs to be fixed — and seems to have inadvertently been fixed — it’s not a cause for alarm. Plane spotting, like train spotting, is a hobby enjoyed by many a tech enthusiast. 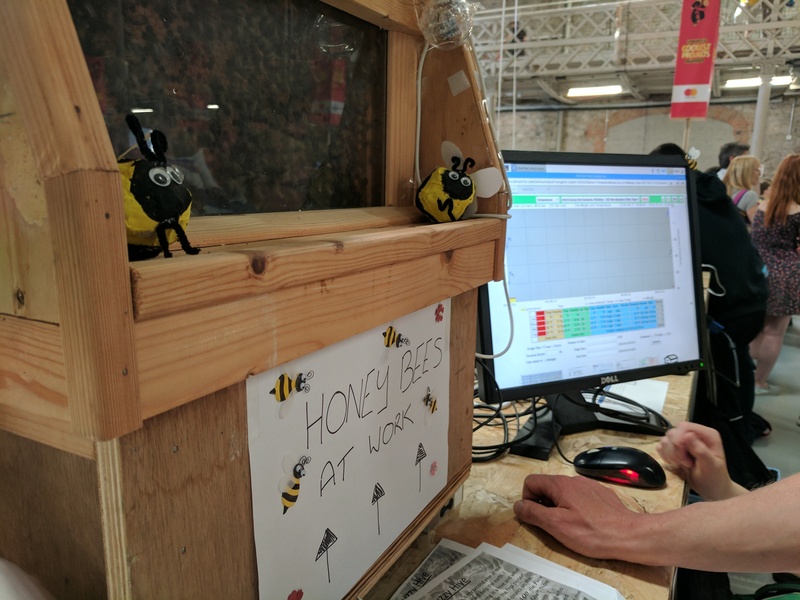 Nick Sypteras has built a voice-controlled plane identifier using a Raspberry Pi and an Amazon Echo Dot. 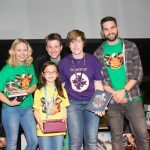 There’s a great write-up on Nick’s blog describing how he went about this. In addition to the Pi and the Echo, all he needed was a radio receiver to pick up signals from individual planes. 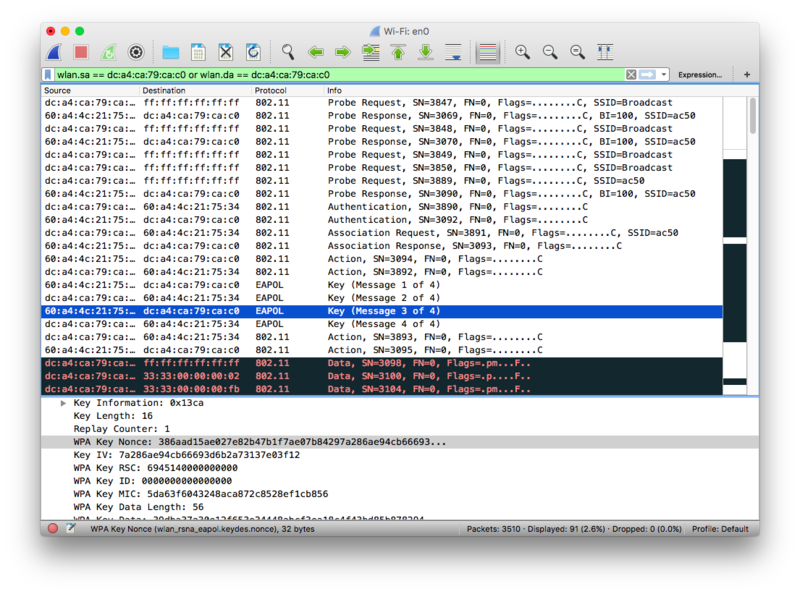 So he bought an RTL-SDR USB dongle to pick up ADS-B broadcasts. 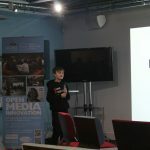 With the help of open-source software he can convert aircraft broadcasts into JSON data, which is stored on the Pi. Included in the broadcast is each passing plane’s unique ICAO code. Using this identifier, he looks up model, operator, and registration number in a data set of possible aircraft which he downloaded and stored on the Pi as a Mongo database. Where is that plane going? His Python script, with the help of the Beautiful Soup package, parses the FlightRadar24 website to find out the origin and destination of each plane. Nick also created a Node.js server in which all this data is stored in human-readable language to be accessed by Alexa. Finally, it was a matter of setting up a new skill on the Alexa Skills Kit dashboard so that it would query the Pi in response to the right voice command. Nick has made all his code available on GitHub, so head on over if this make has piqued your interest. He mentions that the radio receiver he uses picks up most unencrypted broadcasts, so you could adapt his build for other purposes as well. 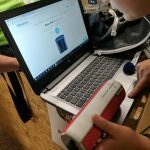 We’ve seen many builds by makers who have pushed their hobby to the next level with the help of the Pi, whether it’s astronomy, high-altitude ballooning, or making music. 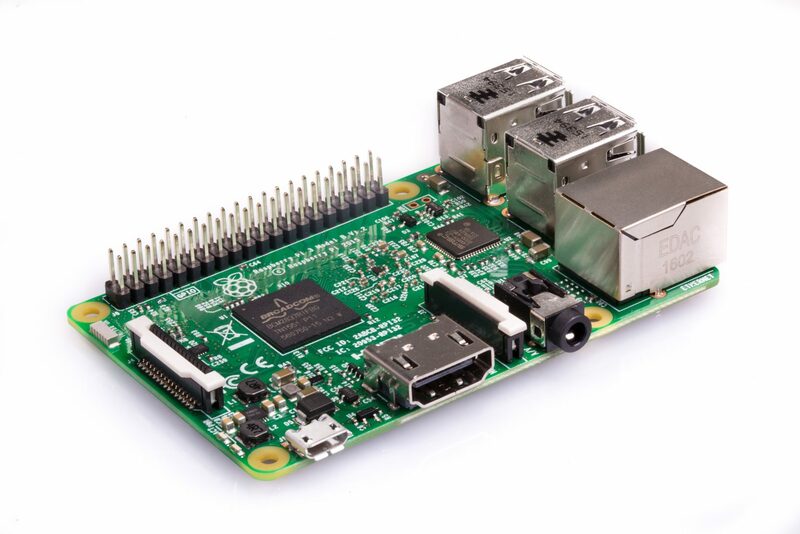 What hobby do you have that the Pi could improve? Let us know in the comments. 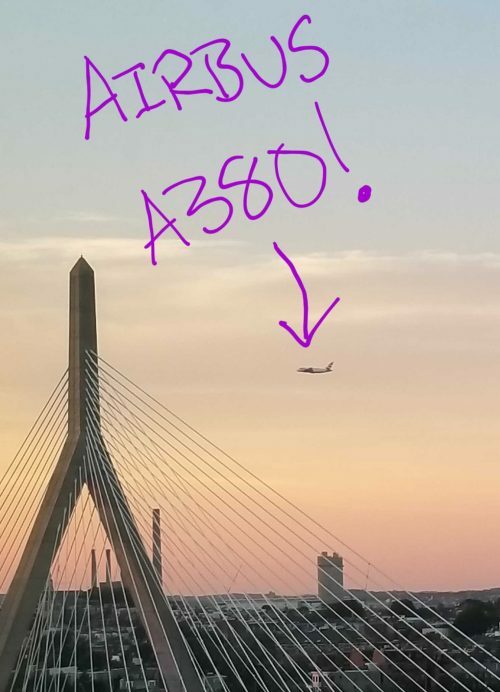 The post Plane Spotting with Pi and Amazon Alexa appeared first on Raspberry Pi. If you have been checking out the launches and announcements from the AWS 2017 San Francisco Summit, you may be aware that the Amazon Lex service is now Generally Available, and you can use the service today. 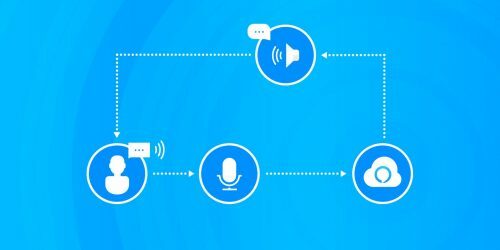 Amazon Lex is a fully managed AI service that enables developers to build conversational interfaces into any application using voice and text. Lex uses the same deep learning technologies of Amazon Alexa-powered devices like Amazon Echo. With the release of Amazon Lex, developers can build highly engaging lifelike user experiences and natural language interactions within their own applications. Amazon Lex supports Slack, Facebook Messenger, and Twilio SMS enabling you to easily publish your voice or text chatbots using these popular chat services. There is no better time to try out the Amazon Lex service to add the gift of gab to your applications, and now you have a great reason to get started. May I have a Drumroll please? I am thrilled to announce the AWS Chatbot Challenge! The AWS Chatbot Challenge is your opportunity to build a unique chatbot that helps solves a problem or adds value for prospective users. 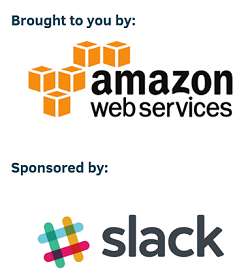 The AWS Chatbot Challenge is brought to you by Amazon Web Services in partnership with Slack. 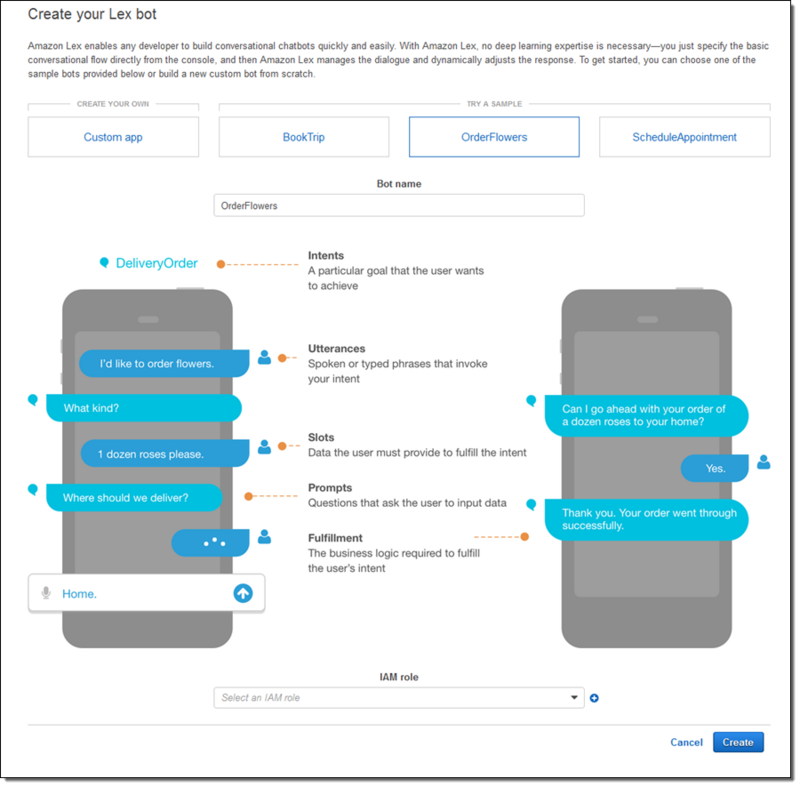 Your mission, if you choose to accept it is to build a conversational, natural language chatbot using Amazon Lex and leverage Lex’s integration with AWS Lambda to execute logic or data processing on the backend. Your submission can be a new or existing bot, however, if your bot is an existing one it must have been updated to use Amazon Lex and AWS Lambda within the challenge submission period. 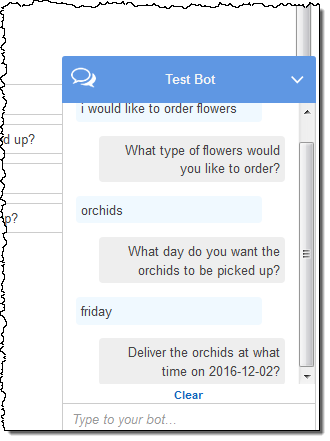 Take advantage of other AWS services when building your bot solution. Leverage Amazon Lex pre-built enterprise connectors and add services like Salesforce, HubSpot, Marketo, Microsoft Dynamics, Zendesk, and QuickBooks as data sources. There are cost effective ways to build your bot using AWS Lambda. Lambda includes a free tier of one million requests and 400,000 GB-seconds of compute time per month. This free, per month usage, is for all customers and does not expire at the end of the 12 month Free Tier Term. Furthermore, new Amazon Lex customers can process up to 10,000 text requests and 5,000 speech requests per month free during the first year. You can find details here. Remember, the AWS Free Tier includes services with a free tier available for 12 months following your AWS sign-up date, as well as additional service offers that do not automatically expire at the end of your 12 month term. You can review the details about the AWS Free Tier and related services by going to the AWS Free Tier Details page. 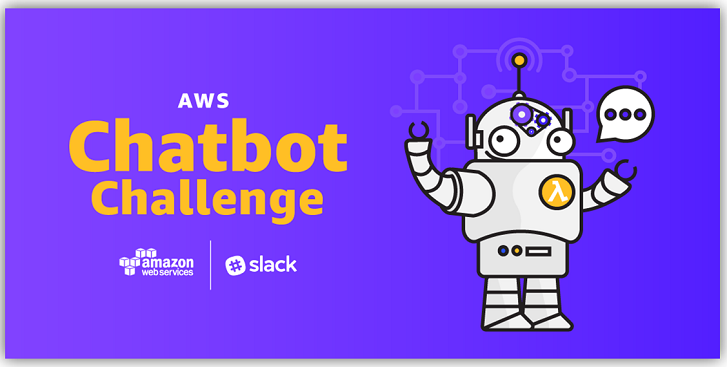 The AWS Chatbot Challenge is open to individuals, and teams of individuals, who have reached the age of majority in their eligible area of residence at the time of competition entry. Organizations that employ 50 or fewer people are also eligible to compete as long at the time of entry they are duly organized or incorporated and validly exist in an eligible area. Large organizations-employing more than 50-in eligible areas can participate but will only be eligible for a non-cash recognition prize. 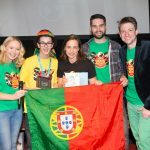 The AWS Chatbot Challenge is awarding prizes for your hard work! Provide a way to access your bot for judging and testing by including a link to your GitHub repo hosting the bot code and all deployment files and testing instructions needed for testing your bot. Submit your bot on AWSChatbot2017.Devpost.com before July 18, 2017 at 5 pm ET and share access to your bot, its Github repo and its deployment files. With Amazon Lex you can build conversation into web and mobile applications, as well as use it to build chatbots that control IoT devices, provide customer support, give transaction updates or perform operations for DevOps workloads (ChatOps). Amazon Lex provides built-in integration with AWS Lambda, AWS Mobile Hub, and Amazon CloudWatch and allows for easy integrate with other AWS services so you can use the AWS platform for to build security, monitoring, user authentication, business logic, and storage into your chatbot or application. You can make additional enhancements to your voice or text chatbot by taking advantage of Amazon Lex’s support of chat services like Slack, Facebook Messenger, and Twilio SMS. If you have questions about the AWS Chatbot Challenge you can email [email protected] or post a question to the Discussion Board. April is Autism Awareness month and about 1 in 68 children in the U.S. have been identified with autism spectrum disorder (ASD) (CDC 2014). In this post from Troy Larson, a Sr. Devops Cloud Architect here at AWS, you get an introduction to a project he has been working on to help his son Calvin. I have been asked how the minds at AWS come up with so many different ideas. Sometimes they come from a deeply personal place, where someone sees a way to help others. Pollexy is an amazing example of just that. Read about Pollexy and then watch the video here. 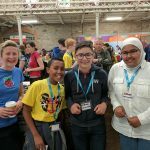 As a computer programming parent of a 16-year old non-verbal teenage boy with autism, I have been constantly searching over the years to find ways to use technology to make our lives together safer, happier and more comfortable. At the core of this challenge is the most basic of all human interaction—communication. While Calvin is able to respond to verbal instruction, he is not able to speak responsively. In his entire life, we’ve never had a conversation. He is able to be left alone in his room to play, but most every task or set of tasks requires a human to verbally prompt him along the way. Having other children and responsibilities in the home, at times the intensity of supervision can be negatively impactful on the home dynamic. When I saw the announcement of Amazon Polly and Amazon Lex at re:Invent last year, I immediately started churning on how we could leverage these technologies to assist Calvin. He responds well to human verbal prompts, but would he understand a digital voice? So one Saturday, I setup a Raspberry Pi in his room and closed his door and crouched around the corner with other family members so Calvin couldn’t see us. I connected to the Raspberry Pi and instructed Polly to speak in Joanna’s familiar pacific tone, “Calvin, it’s time to take a potty break. Go out of your bedroom and go to the bathroom.” In a few seconds, we heard his doorknob turn and I poked my head out of my hiding place. Calvin passed by, looking at me quizzically, then went into the bathroom as Joanna had instructed. We all looked at each other in amazement—he had listened and responded perfectly to the completely invisible voice of someone he’d never heard before. After discussing some ideas around this with co-workers, a colleague suggested I enter the IoT and AI Science Fair at our annual AWS Sales Kick-Off meeting. 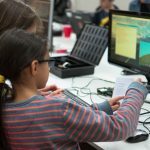 Less than two months after the Polly and Lex announcement and 3500 lines of code later, Pollexy—along with Calvin–debuted at the Science Fair. 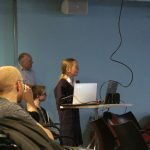 Pollexy (“Polly” + “Lex”) is a Raspberry Pi and mobile-based special needs verbal assistant that lets caretakers schedule audio task prompts and messages both on a recurring schedule and/or on-demand. Caretakers can schedule regular medicine reminder messages or hourly bathroom break messages, for example, and at the same time use their Amazon Echo and mobile device to request a specific message be played immediately. Caretakers can even set it up so that the person needs to confirm that they’ve heard the message. For example, my son won’t pay attention to Pollexy unless Pollexy first asks him to “Push the blue button.” Pollexy will wait until he has pushed the button and then speak the actual message. Other people may be able to respond verbally using Lex, or not require a confirmation at all. Pollexy can be tailored to what works best. And then most importantly—and most challenging—in a large house, how do we make sure the person is in the room where we play the message? What if we have a special needs adult living in an in-law suite? Are they in the living room or the kitchen? And what about multiple people? What if we have multiple people in different areas of the house, each of whom has a message? Let’s explore the basic elements and tie the pieces together. In the spirit of Amazon’s Leadership Principle “Invent and Simplify,” we want to minimize the complexity of the Pollexy architecture. We can break Pollexy down into three types of objects and three components, all of which work together in a way that’s easily explainable. Pollexy can support any number of people. A person is a uniquely identifiable name. We can set basic preferences such as “requires confirmation” and most importantly, we can define a location schedule. This means that we can create an Outlook-like schedule that sets preferences where someone should be in the house. Obviously, this is the actual message we want to play. Attached to each message is a person and a recurring schedule (only if it’s not a one-time message). We don’t store location with the message, because Pollexy figures out the person’s location when the message is ready to be delivered. Every message needs to be scheduled. This is a command-line tool where you basically say Tell “Calvin” that “you need to brush your teeth” every night at 8 p.m. This message is then stored in DynamoDB, waiting to be picked up by the queueing Lambda function. Every minute, a Lambda runs and checks the scheduler to see if there is a message or messages ready to be delivered. If a message is ready, it looks up the person’s location schedule and figures out where they are and then pushes the message or messages into an SQS queue for that location. Every minute on the Raspberry Pi device, the speaker engine spins up and checks the SQS for its location. If there are messages, then the speaker engine looks at the user’s preferences and initiates communication to convey the message. If the person doesn’t respond, the speaker engine will check if the person has a secondary location in their schedule and drop the message in the SQS Queue for that location. In the end, a message will either be delivered or eventually just timeout (if someone is out of the house for the day). We often take our personal privacy and respect for granted, so imagine even for a special needs person, the lack of privacy and freedom around having a person constantly in your presence. This is exaggerated for those in the autism spectrum where invasion of personal space can escalate a sense of invasion, turning into anger and frustration. Pollexy becomes their own personal, gentle and never-flustered friend to coach to them along the way, giving them confidence, respect and the sense of privacy and freedom we all want to enjoy. 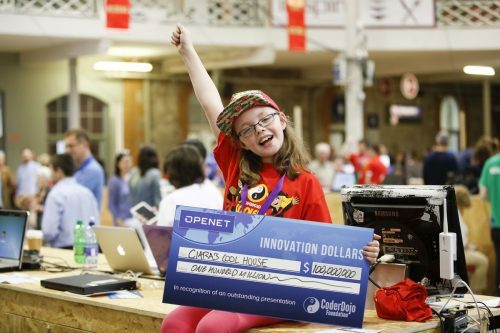 Want to change the world with Big Data and Analytics? 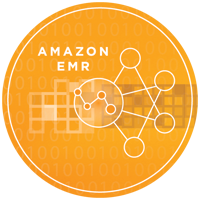 Come join us on the Amazon EMR team in Amazon Web Services! Meet the Amazon EMR team this Friday April 7th from 5:00 – 7:30 PM at Michael’s at Shoreline in Mountain View. We’ll feature short tech talks by EMR leadership who will talk about the past, present, and future of Apache Hadoop and Spark ecosystem and EMR. You’ll also meet EMR engineers who are eager to discuss the challenges and opportunities involved in building the EMR service and running the latest open-source big data frameworks like Spark and Presto at massive scale. We’ll give out several door prizes, including an Amazon Echo with an Amazon Dot, Kindle, and Fire TV Stick! Amazon EMR is a web service which enables customers to run massive clusters with distributed big data frameworks like Apache Hadoop, Hive, Tez, Flink, Spark, Presto, HBase and more, with the ability to effortlessly scale up and down as needed. We run a large number of customer clusters, enabling processing on vast datasets. We are developing innovative new features including our next-generation cluster management system, improvements for real-time processing of big data, and ways to enable customers to more easily interact with their data. We’re looking for top engineers to build them from the ground up. Interested? We hope you can make it! Please RSVP on Eventbrite. Allen Pan has wired up his home automation system to be controlled by memorable tunes from the classic Zelda franchise. With Zelda: Breath of the Wild out on the Nintendo Switch, I made a home automation system based off the Zelda series using the ocarina from The Legend of Zelda: Ocarina of Time. Help Me Make More Awesome Stuff! https://www.patreon.com/sufficientlyadvanced Subscribe! http://goo.gl/xZvS5s Follow Sufficiently Advanced! Released in 1998, The Legend of Zelda: Ocarina of Time is the best game ever is still an iconic entry in the retro gaming history books. 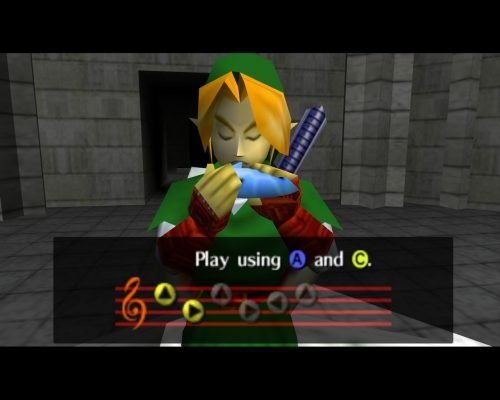 Very few games have stuck with me in the same way Ocarina has, and I think it’s fair to say that, with the continued success of the Zelda franchise, I’m not the only one who has a special place in their heart for Link, particularly in this musical outing. Thanks to Cynosure Gaming‘s Ocarina of Time review for the image. 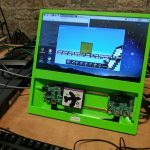 Allen, or Sufficiently Advanced, as his YouTube subscribers know him, has used a Raspberry Pi to detect and recognise key tunes from the game, with each tune being linked (geddit?) to a specific task. By playing Zelda’s Lullaby (E, G, D, E, G, D), for instance, Allen can lock or unlock the door to his house. Other tunes have different functions: Epona’s Song unlocks the car (for Ocarina noobs, Epona is Link’s horse sidekick throughout most of the game), and Minuet of Forest waters the plants. It’s a fairly simple setup based around note recognition. 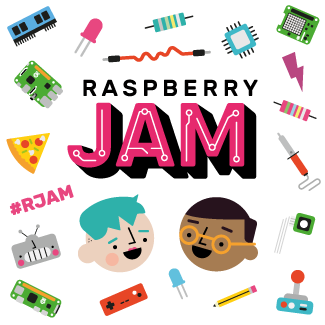 When certain notes are played in a specific sequence, the Raspberry Pi detects the tune via a microphone within the Amazon Echo-inspired body of the build, and triggers the action related to the specific task. The small speaker you can see in the video plays a confirmation tune, again taken from the video game, to show that the task has been completed. 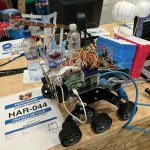 As for the tasks themselves, Allen has built a small controller for each action, whether it be a piece of wood that presses down on his car key, a servomotor that adjusts the ambient temperature, or a water pump to hydrate his plants. 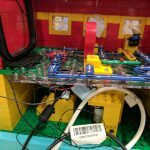 Each controller has its own small ESP8266 wireless connectivity module that links back to the wireless-enabled Raspberry Pi, cutting down on the need for a ton of wires about the home. And yes, before anybody says it, we’re sure that Allen is aware that using tone recognition is not the safest means of locking and unlocking your home. This is just for fun. 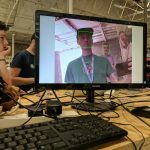 While we don’t necessarily expect everyone to brush up on their ocarina skills and build their own Zelda-inspired home automation system, the idea of using something other than voice or text commands to control home appliances is a fun one. 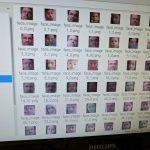 You could use facial recognition at the door to start the kettle boiling, or the detection of certain gasses to – ahem!– spray an air freshener. 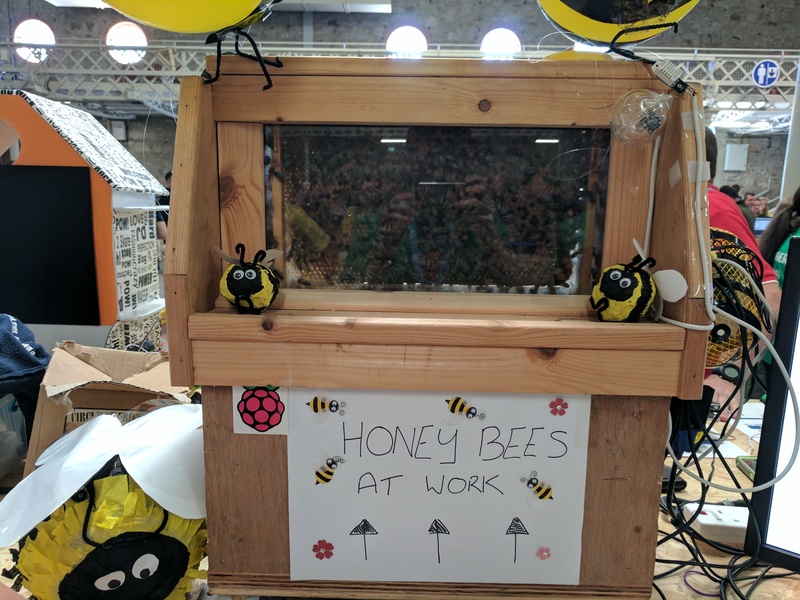 We love to see what you all get up to with the Raspberry Pi. Have you built your own home automation system controlled by something other than your voice? Share it in the comments below. 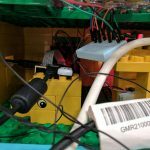 The post Zelda-inspired ocarina-controlled home automation appeared first on Raspberry Pi. As we finish up the month of February, Tina Barr is back with some awesome startups. GumGum – Creating and popularizing the field of in-image advertising. Jiobit – Smart tags to help parents keep track of kids. Parsec – Offers flexibility in hardware and location for PC gamers. Peloton – Revolutionizing indoor cycling and fitness classes at home. Tendril – Reducing energy consumption for homeowners. If you missed any of our January startups, make sure to check them out here. GumGum is best known for inventing and popularizing the field of in-image advertising. Founded in 2008 by Ophir Tanz, the company is on a mission to unlock the value held within the vast content produced daily via social media, editorials, and broadcasts in a variety of industries. GumGum powers campaigns across more than 2,000 premium publishers, which are seen by over 400 million users. In-image advertising was pioneered by GumGum and has given companies a platform to deliver highly visible ads to a place where the consumer’s attention is already focused. Using image recognition technology, GumGum delivers targeted placements as contextual overlays on related pictures, as banners that fit on all screen sizes, or as In-Feed placements that blend seamlessly into the surrounding content. Using Visual Intelligence, GumGum can scour social media and broadcast TV for all images and videos related to a brand, allowing companies to gain a stronger understanding of their audience and how they are relating to that brand on social media. GumGum relies on AWS for its Image Processing and Ad Serving operations. Using AWS infrastructure, GumGum currently processes 13 million requests per minute across the globe and generates 30 TB of new data every day. The company uses a suite of services including but not limited to Amazon EC2, Amazon S3, Amazon Kinesis, Amazon EMR, AWS Data Pipeline, and Amazon SNS. AWS edge locations allow GumGum to serve its customers in the US, Europe, Australia, and Japan and the company has plans to expand its infrastructure to Australia and APAC regions in the future. 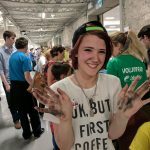 For a look inside GumGum’s startup culture, check out their first Hackathon! 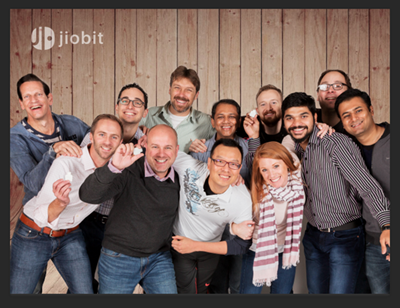 Jiobit was inspired by a real event that took place in a crowded Chicago park. A couple of summers ago, John Renaldi experienced every parent’s worst nightmare – he lost track of his then 6-year-old son in a public park for almost 30 minutes. John knew he wasn’t the only parent with this problem. After months of research, he determined that over 50% of parents have had a similar experience and an even greater percentage are actively looking for a way to prevent it. Jiobit is the world’s smallest and longest lasting smart tag that helps parents keep track of their kids in every location – indoors and outdoors. The small device is kid-proof: lightweight, durable, and waterproof. It acts as a virtual “safety harness” as it uses a combination of Bluetooth, Wi-Fi, Multiple Cellular Networks, GPS, and sensors to provide accurate locations in real-time. Jiobit can automatically learn routes and locations, and will send parents an alert if their child does not arrive at their destination on time. 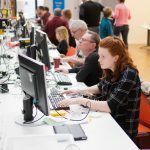 The talented team of experienced engineers, designers, marketers, and parents has over 150 patents and has shipped dozens of hardware and software products worldwide. The Jiobit team is utilizing a number of AWS services in the development of their product. Security is critical to the overall product experience, and they are over-engineering security on both the hardware and software side with the help of AWS. Jiobit is also working towards being the first child monitoring device that will have implemented an Alexa Skill via the Amazon Echo device (see here for a demo!). The devices use AWS IoT to send and receive data from the Jio Cloud over the MQTT protocol. 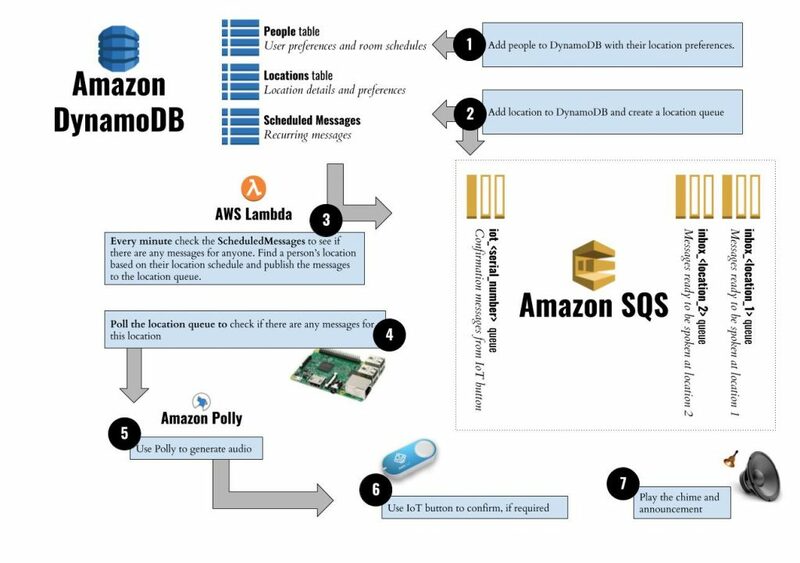 Once data is received, they use AWS Lambda to parse the received data and take appropriate actions, including storing relevant data using Amazon DynamoDB, and sending location data to Amazon Machine Learning processing jobs. Visit the Jiobit blog for more information. Parsec operates under the notion that everyone should have access to the best computing in the world because access to technology creates endless opportunities. Founded in 2016 by Benjy Boxer and Chris Dickson, Parsec aims to eliminate the burden of hardware upgrades that users frequently experience by building the technology to make a computer in the cloud available anywhere, at any time. Today, they are using their technology to enable greater flexibility in the hardware and location that PC gamers choose to play their favorite games on. Check out this interview with Benjy and our Startups team for a look at how Parsec works. Parsec built their first product to improve the gaming experience; gamers no longer have to purchase consoles or expensive PCs to access the entertainment they love. Their low latency video streaming and networking technologies allow gamers to remotely access their gaming rig and play on any Windows, Mac, Android, or Raspberry Pi device. With the global reach of AWS, Parsec is able to deliver cloud gaming to the median user in the US and Europe with less than 30 milliseconds of network latency. Parsec users currently have two options available to start gaming with cloud resources. They can either set up their own machines with the Parsec AMI in their region or rely on Parsec to manage everything for a seamless experience. In either case, Parsec uses the g2.2xlarge EC2 instance type. Parsec is using Amazon Elastic Block Storage to store games, Amazon DynamoDB for scalability, and Amazon EC2 for its web servers and various APIs. They also deal with a high volume of logs and take advantage of the Amazon Elasticsearch Service to analyze the data. Be sure to check out Parsec’s blog to keep up with the latest news. The idea for Peloton was born in 2012 when John Foley, Founder and CEO, and his wife Jill started realizing the challenge of balancing work, raising young children, and keeping up with personal fitness. This is a common challenge people face – they want to work out, but there are a lot of obstacles that stand in their way. Peloton offers a solution that enables people to join indoor cycling and fitness classes anywhere, anytime. Peloton has created a cutting-edge indoor bike that streams up to 14 hours of live classes daily and has over 4,000 on-demand classes. Users can access live classes from world-class instructors from the convenience of their home or gym. The bike tracks progress with in-depth ride metrics and allows people to compete in real-time with other users who have taken a specific ride. The live classes even feature top DJs that play current playlists to keep users motivated. With an aggressive marketing campaign, which has included high-visibility TV advertising, Peloton made the decision to run its entire platform in the cloud. Most recently, they ran an ad during an NFL playoff game and their rate of requests per minute to their site increased from ~2k/min to ~32.2k/min within 60 seconds. As they continue to grow and diversify, they are utilizing services such as Amazon S3 for thousands of hours of archived on-demand video content, Amazon Redshift for data warehousing, and Application Load Balancer for intelligent request routing. Learn more about Peloton’s engineering team here. Tendril was founded in 2004 with the goal of helping homeowners better manage and reduce their energy consumption. Today, electric and gas utilities use Tendril’s data analytics platform on more than 140 million homes to deliver a personalized energy experience for consumers around the world. Using the latest technology in decision science and analytics, Tendril can gain access to real-time, ever evolving data about energy consumers and their homes so they can improve customer acquisition, increase engagement, and orchestrate home energy experiences. In turn, Tendril helps its customers unlock the true value of energy interactions. AWS helps Tendril run its services globally, while scaling capacity up and down as needed, and in real-time. 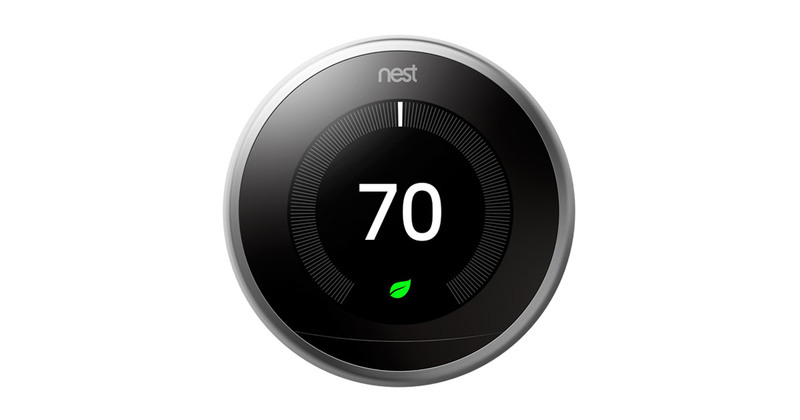 This has been especially important in support of Tendril’s newest solution, Orchestrated Energy, a continuous demand management platform that calculates a home’s thermal mass, predicts consumer behavior, and integrates with smart thermostats and other connected home devices. This solution allows millions of consumers to create a personalized energy plan for their home based on their individual needs. Tendril builds and maintains most of its infrastructure services with open sources tools running on Amazon EC2 instances, while also making use of AWS services such as Elastic Load Balancing, Amazon API Gateway, Amazon CloudFront, Amazon Route 53, Amazon Simple Queue Service, and Amazon RDS for PostgreSQL. Visit the Tendril Blog for more information! 2016 is safely in our rear-view mirrors. It’s time to take a look back at the year that was and see what technology had the biggest impact on consumers and businesses alike. We also have an eye to 2017 to see what the future holds. Truly sentient computers and robots are still the stuff of science fiction (and the premise of one of 2016’s most promising new SF TV series, HBO’s Westworld). Neural networks are nothing new, but 2016 saw huge strides in artificial intelligence and machine learning, especially in the cloud. Google, Amazon, Apple, IBM, Microsoft and others are developing cloud computing infrastructures designed especially for AI work. It’s this technology that’s underpinning advances in image recognition technology, pattern recognition in cybersecurity, speech recognition, natural language interpretation and other advances. Microsoft’s newly-formed AI and Research Group is finding ways to get artificial intelligence into Microsoft products like its Bing search engine and Cortana natural language assistant. Some of these efforts, while well-meaning, still need refinement: Early in 2016 Microsoft launched Tay, an AI chatbot designed to mimic the natural language characteristics of a teenage girl and learn from interacting with Twitter users. Microsoft had to shut Tay down after Twitter users exploited vulnerabilities that caused Tay to begin spewing really inappropriate responses. But it paves the way for future efforts that blur the line between man and machine. Finance, energy, climatology – anywhere you find big data sets you’re going to find uses for machine learning. On the consumer end it can help your grocery app guess what you might want or need based on your spending habits. Financial firms use machine learning to help predict customer credit scores by analyzing profile information. One of the most intriguing uses of machine learning is in security: Pattern recognition helps systems predict malicious intent and figure out where exploits will come from. Meanwhile we’re still waiting for Rosie the Robot from the Jetsons. And flying cars. So if Elon Musk has any spare time in 2017, maybe he can get on that. Augmented Reality (AR) games have been around for a good long time – ever since smartphone makers put cameras on them, game makers have been toying with the mix of real life and games. AR games took a giant step forward with a game released in 2016 that you couldn’t get away from, at least for a little while. We’re talking about Pokémon GO, of course. Niantic, makers of another AR game called Ingress, used the framework they built for that game to power Pokémon GO. Kids, parents, young, old, it seemed like everyone with an iPhone that could run the game caught wild Pokémon, hatched eggs by walking, and battled each other in Pokémon gyms. Technical glitches, problems with scale and limited gameplay value ultimately hurt Pokémon GO’s longevity. Today the game only garners a fraction of the public interest it did at peak. It continues to be successful, albeit not at the stratospheric pace it first set. 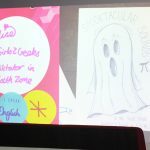 Niantic, the game’s developer, was able to tie together several factors to bring such an explosive and – if you’ll pardon the overused euphemism – disruptive – game to bear. One was its previous work with a game called Ingress, another AR-enhanced game that uses geomap data. 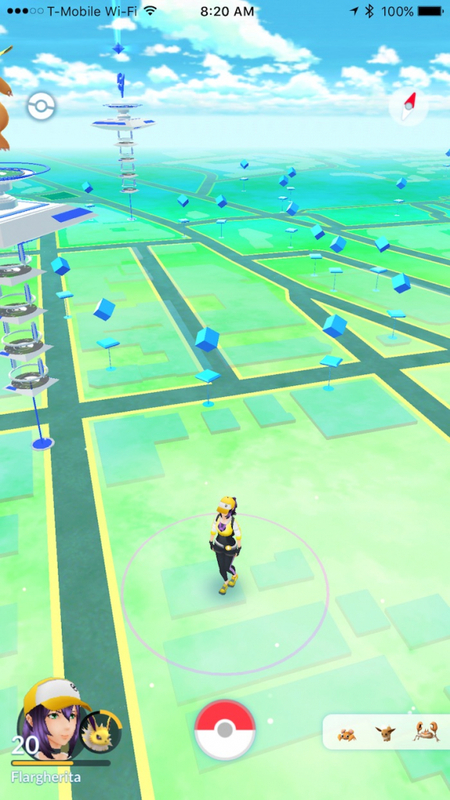 In fact, Pokémon GO uses the same geomap data as Ingress, so Niantic had already done a huge amount of legwork needed to get Pokémon GO up and running. Niantic cleverly used Google Maps data to form the basis of both games, relying on already-identified public landmarks and other locations tagged by Ingress players (Ingress has been around since 2011). Then, of course, there’s the Pokémon connection – an intensely meaningful gaming property that’s been popular with generations of video games and cartoon watchers since the 1990s. The dearth of Pokémon-branded games on smartphones meant an instant explosion of popularity upon Pokémon GO’s release. 2016 also saw the introduction of several new virtual reality (VR) headsets designed for home and mobile use. Samsung Gear VR and Google Daydream View made a splash. As these products continue to make consumer inroads, we’ll see more games push the envelope of what you can achieve with VR and AR. Hybrid Cloud services combine public cloud storage (like B2 Cloud Storage) or public compute (like Amazon Web Services) with a private cloud platform. Specialized content and file management software glues it all together, making the experience seamless for the user. Businesses get the instant access and speed they need to get work done, with the ability to fall back on on-demand cloud-based resources when scale is needed. B2’s hybrid cloud integrations include OpenIO, which helps businesses maintain data storage on-premise until it’s designated for archive and stored in the B2 cloud. The cost of entry and usage of Hybrid Cloud services have continued to fall. For example, small and medium-sized organizations in the post production industry are finding Hybrid Cloud storage is now a viable strategy in managing the large amounts of information they use on a daily basis. This strategy is enabled by the low cost of B2 Cloud Storage that provides ready access to cloud-stored data. There are practical deployment and scale issues that have kept Hybrid Cloud services from being used widespread in the largest enterprise environments. Small to medium businesses and vertical markets like Media & Entertainment have found promising, economical opportunities to use it, which bodes well for the future. 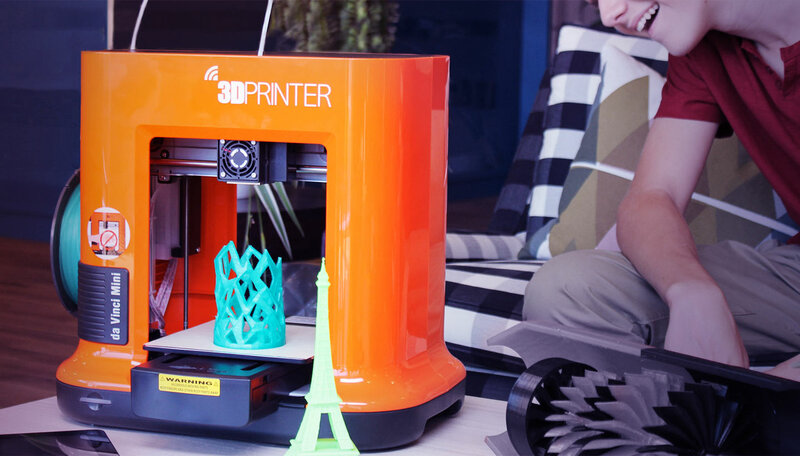 3D printing, once a rarified technology, has become increasingly commoditized over the past several years. That’s been in part thanks to the “Maker Movement:” Thousands of folks all around the world who love to tinker and build. XYZprinting is out in front of makers and others with its line of inexpensive desktop da Vinci printers. The da Vinci Mini is a tabletop model aimed at home users which starts at under $300. You can download and tweak thousands of 3D models to build toys, games, art projects and educational items. They’re built using spools of biodegradable, non-toxic plastics derived from corn starch which dispense sort of like the bobbin on a sewing machine. The da Vinci Mini works with Macs and PCs and can connect via USB or Wi-Fi. Quadcopter drones have been fun tech toys for a while now, but the new trend we saw in 2016 was “do it yourself” models. 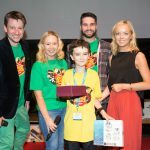 The result was Flybrix, which combines lightweight drone motors with LEGO building toys. 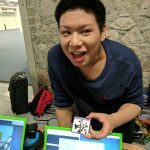 Flybrix was so successful that they blew out of inventory for the 2016 holiday season and are backlogged with orders into the new year. 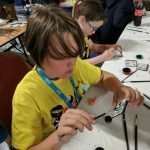 Each Flybrix kit comes with the motors, LEGO building blocks, cables and gear you need to build your own quad, hex or octocopter drone (as well as a cheerful-looking LEGO pilot to command the new vessel). A downloadable app for iOS or Android lets you control your creation. A deluxe kit includes a handheld controller so you don’t have to tie up your phone. If you already own a 3D printer like the da Vinci Mini, you’ll find plenty of model files available for download and modification so you can print your own parts, though you’ll probably need help from one of the many maker sites to know what else you’ll need to aerial flight and control. Research at the University of Southampton may yield the next big leap in optical storage technology meant for long-term archival. 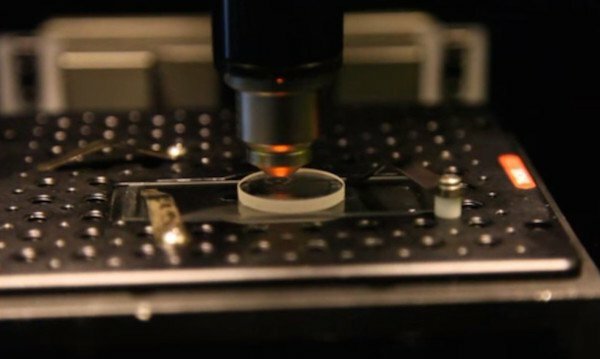 The boffins at the Optoelectronics Research Centre have developed a new data storage technique that embeds information in glass “nanostructures” on a storage disc the size of a U.S. quarter. An upside to this is an absence of bit rot: The glass medium is extremely stable, with a shelf life predicted in billions of years. The downside is that this is still a write-once medium, so it’s intended for long term storage. This tech is still years away from practical use, but it took a big step forward in 2016 when the University announced the development of a practical information encoding scheme to use with it. Are you ready to talk to your house to tell it to do things? If you’re not already, you probably will be soon. 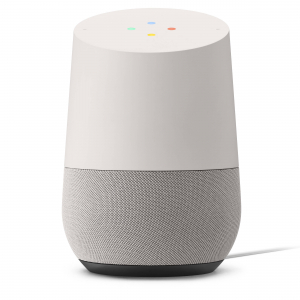 Google’s Google Home is a $129 voice-activated speaker powered by the Google Assistant. 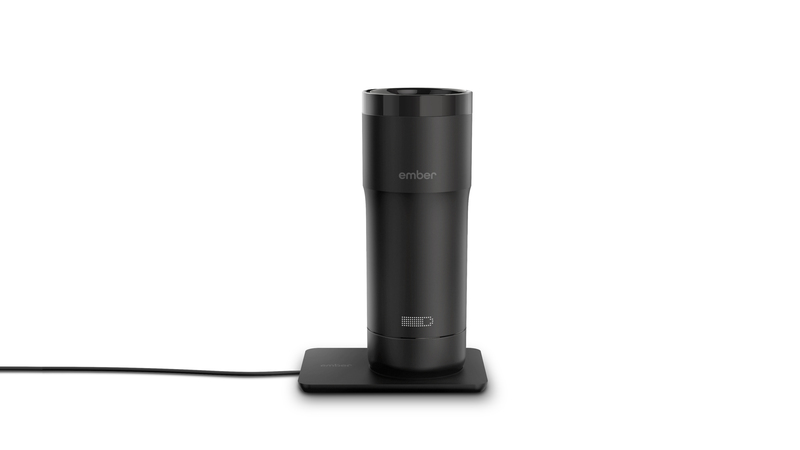 You can use it for everything from streaming music and video to a nearby TV to reading your calendar or to do list. You can also tell it to operate other supported devices like the Nest smart thermostat and Philips Hue lights. Amazon has its own similar wireless speaker product called the Echo, powered by Amazon’s Alexa information assistant. 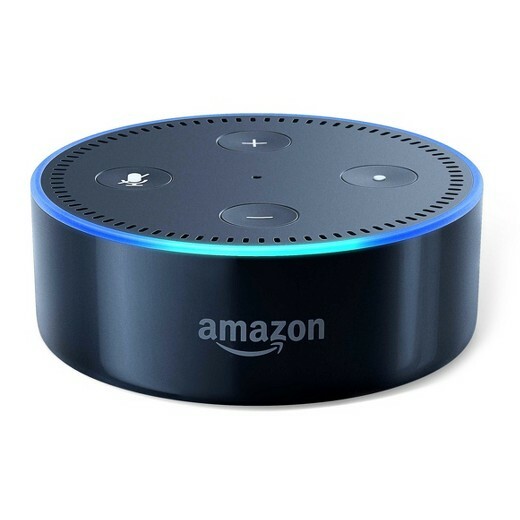 Amazon has differentiated its Echo offerings by making the Dot – a hockey puck-sized device that connects to a speaker you already own. So Amazon customers can begin to outfit their connected homes for less than $50. Apple’s HomeKit software kit isn’t a speaker like Amazon Echo or Google Home. It’s software. You use the Home app on your iOS 10-equipped iPhone or iPad to connect and configure supported devices. Use Siri, Apple’s own intelligent assistant, on any supported Apple device. HomeKit turns on lights, turns up the thermostat, operates switches and more. Smart home tech has been coming in fits and starts for a while – the Nest smart thermostat is already in its third generation, for example. But 2016 was the year we finally saw the “Internet of things” coalescing into a smart home that we can control through voice and gestures in a … well, smart way. Internet of Things: More smart-connected devices are coming online in the home and at work every day, and this trend will accelerate in 2017 with more and more devices requiring some form of Internet connectivity to work. Expect to see a lot more appliances, devices, and accessories that make use of the API’s promoted by Google, Amazon, and Apple to help let you control everything in your life just using your voice and a smart speaker setup. Blockchain security: Blockchain is the digital ledger security technology that makes Bitcoin work. Its distribution methodology and validation system help you make certain that no one’s tampered with the records, which make it well-suited for applications besides cryptocurrency, like make sure your smart thermostat (see above) hasn’t been hacked). Expect 2017 to be the year we see more mainstream acceptance, use, and development of blockchain technology from financial institutions, the creation of new private blockchain networks, and improved usability aimed at making blockchain easier for regular consumers to use. Blockchain-based voting is here too. It also wouldn’t surprise us, given all this movement, to see government regulators take a much deeper interest in blockchain, either. 5G: Verizon is field-testing 5G on its wireless network, which it says deliver speeds 30-50 times faster than 4G LTE. We’ll be hearing a lot more about 5G from Verizon and other wireless players in 2017. In fairness, we’re still a few years away from widescale 5G deployment, but field-testing has already started. Enough of our bloviation. Let’s open the floor to you. What do you think were the biggest technology trends in 2016? 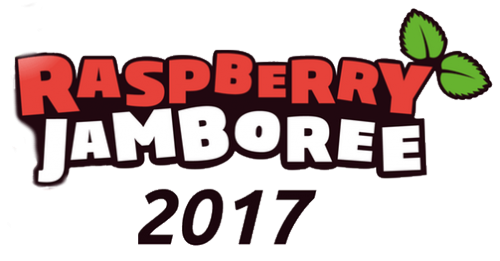 What’s coming in 2017 that has you the most excited? Let us know in the comments! The post 2016: The Year In Tech, And A Sneak Peek Of What’s To Come appeared first on Backblaze Blog | Cloud Storage & Cloud Backup. Amazon Lex is designed to let you get going quickly. You start out by designing your conversation in the Lex Console, providing Lex with some sample phrases that are used to build a natural language model. 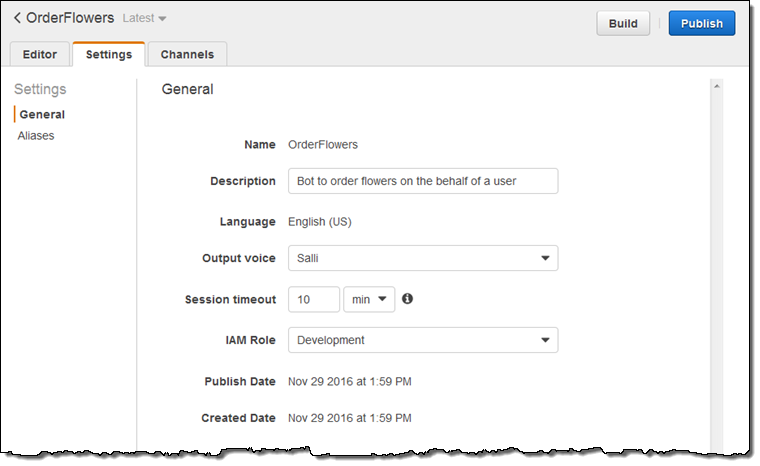 Then you publish your Amazon Lex bot and let it process text or voice conversations with your users. Amazon Lex is a fully-managed service so you don’t need to spend time setting up, managing, or scaling any infrastructure. Your chatbot can connect with Facebook Messenger today; Slack and Twilio integration is in the works as well. On the AWS side, it works with AWS Lambda, AWS Mobile Hub, and Amazon CloudWatch. Your code can make use of Amazon DynamoDB, Amazon Cognito, and other services. 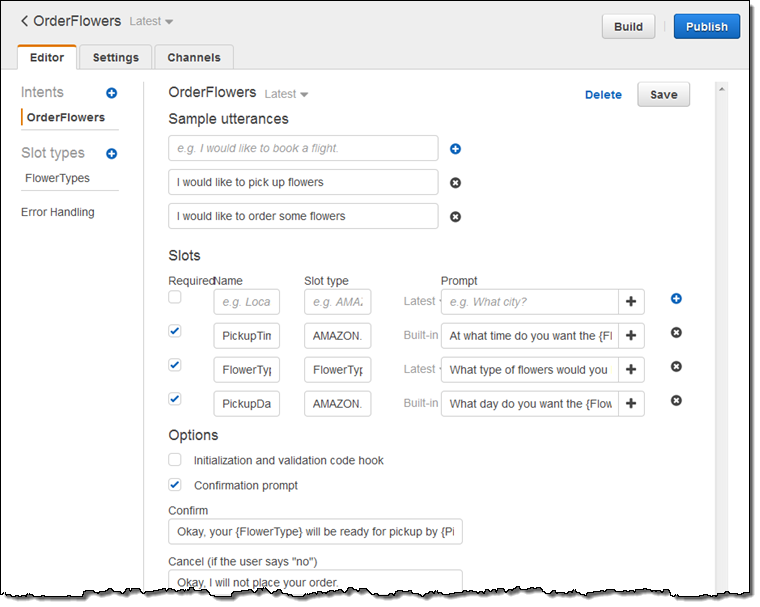 Amazon Lex lets you use AWS Lambda functions to implement the business logic for your bot, including connections to your enterprise applications and data. In conjunction with the newly announced SaaS integration for AWS Mobile Hub, you can build enterprise productivity bots that provide conversational interfaces to the accounts, contacts, leads, and other enterprise data stored in the SaaS applications that you are already using. Putting it all together, you now have access to all of the moving parts needed to build fully integrated solutions that start at the mobile app and go all the way to the fulfillment logic. Bot – A bot contains all of the components of a conversation. Intent – An intent represents a goal that the bot’s user wants to achieve (buying a plane ticket, scheduling an appointment, or getting a weather forecast, and so forth). Utterance – An utterance is a spoken or typed phrase that invokes an intent. “I want to book a hotel” or “I want to order flowers” are two simple utterances. Slots – Each slot is a piece of data that the user must supply in order to fulfill the intent. Slots are typed; a travel bot could have slots for cities, states or airports. Prompt – A prompt is a question that asks the user to supply some data (for a slot) that is needed to fulfill an intent. Fulfillment – Fulfillment is the business logic that carries our the user’s intent. Lex supports the use of Lambda functions for fulfillment. Bots, intents, and slots are versioned so that you can draw clear lines between development, testing, staging, and production, in a multi-developer environment. You can create multiple aliases for each of your bots and maps them to specific versions of the components. I’ll share more details as soon as the re:Invent rush is over and I have time to really dig in. Amazon Lex is available in preview form in the US East (Northern Virginia) Region and you can start building conversational applications today! After you sign up, you can make 10,000 text requests and 5,000 speech requests each month at no charge for the first year. After that you will pay $4.00 for each 1,000 speech requests and $0.75 for every 1,000 text requests. The recent update to the Alexa Voice Service (AVS) API allows makers to incorporate hands-free functionality into their builds, a feature previously missing from all but the official Amazon Echo and Dot models. With the update removing the press-a-button limitation, anyone using the AVS can now ‘wake’ Alexa with a ‘wake word’, calling out to Alexa, Echo, or Amazon. Thankfully, at least in my household, this choice of wake word means the device won’t be listening whenever anyone calls my name. 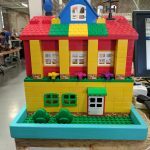 We’ve seen no end of builds over the last year as makers begin to incorporate the AVS into their home automation projects and robots. 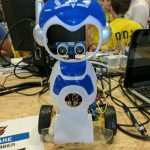 There’s been everything from boats to kids’ builds, retro radios and more, and we even co-hosted the Internet of Voice Challenge with Amazon and Hackster.io this summer. Uploaded by Austin Mathuw on 2016-08-31. One thing I’m looking forward to is integrating the AVS into situations where hands-free truly is the only option. Not only will we begin to see an increase of Alexa-pimped cars, bikes, and drones, but I also see great advances in the use of the service for those with accessibility issues, such as those with mobility concerns or visual impairments. The Smart Cap, winner of the Intermediate Alexa Skill Set category, is a great example. 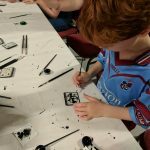 Get in touch if you create something yourself! 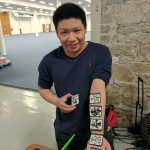 The post Hands-free with the Alexa Voice Service appeared first on Raspberry Pi.